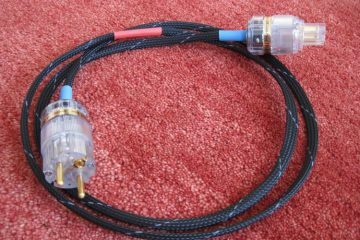 In short: the cable uses not only copper and silver but several other small pieces of metal alloy to arrive at the maker’s intended sound. The special tweaking notwithstanding, the cable still behaves as one would expect from a typical solid core cable. 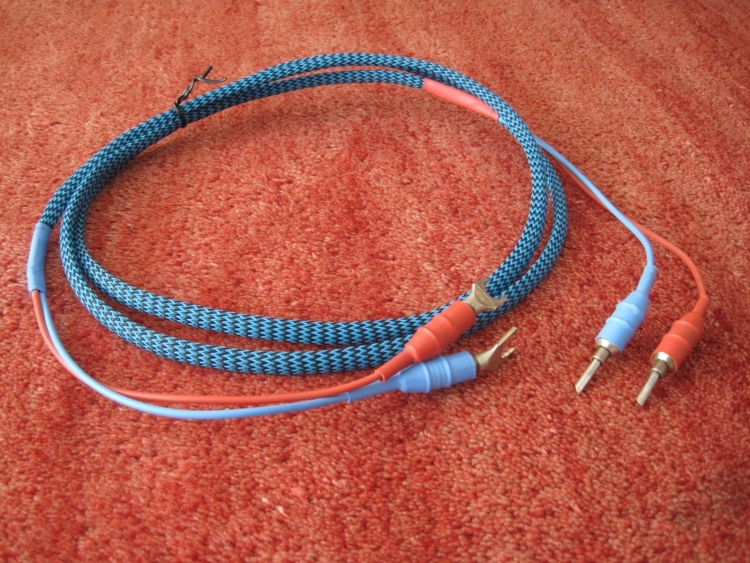 Practically this means that the cable is somewhat stiff and bouncy, but it can be very easily bent into shape. Soundwise, like other solid core cables, the bass is nicely upbeat, well-formed and articulate and the overall feeling is of a low-smearing sound. Unlike other solid core cables I have heard, however, there is a certain sweetness and harmonic texture and a nice fullness in the bass, preventing the sound of becoming overly clean or clinical. While not the most lyrical cable, its sound is very pure and honest and highly enjoyable. Dynamics are great and the overall feeling is of a highly lifelike sound, which I think is precisely what the maker was after. 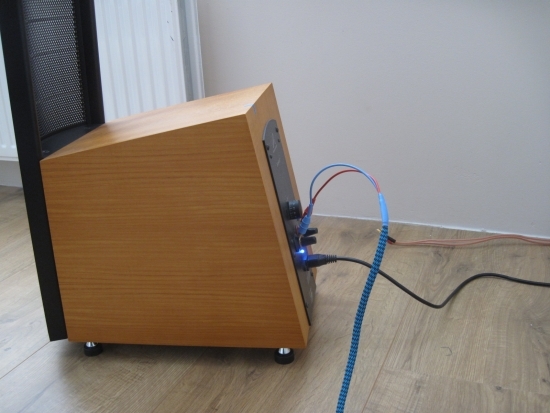 Of the setups I tried it in, the cable works best in the context of fuller sounding systems, such as my own main Jeff Rowland/Apogee Diva setup as well as in SET-based setups as evidenced by a friend’s Ayon/VAIC/AvantGarde setup which is momentarily on a visit in my listening room. (link is not yet active at the time of writing). While the Ayon Crossfire III amp works surprisingly well with the Transparent Reference XL speaker cable, the VAIC Reference 520 monos can sound too dull or woolly with them. The substitution of the ASI here brings a much more transparent and lively sound. In these setups, the ASI lends a nicely open and communicative quality to the music without taking away any body or substance. 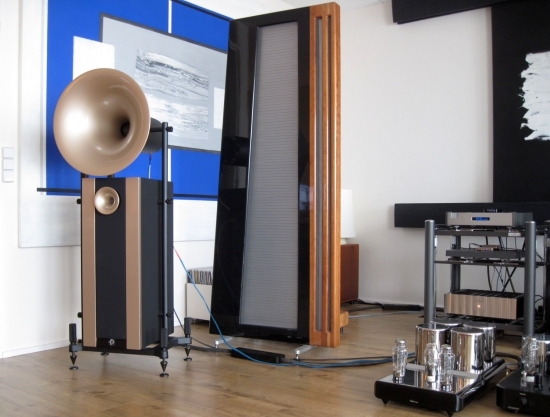 With the AvantGarde speakers, there is a lift in midrange presence that can tend to be peaky at times, but that is inherent to the speakers, not as much to be attributed to the ASI. Liveliness and articulation, in any event, are much improved compared to the resident Transparent Reference XL cables, and some soundstage width is traded for better focus and resolution. The Transparent cable offers a very nicely filtered, forgiving and smooth sound but the ASI has certainly triggered me to look beyond that brand. The ASI cables work less well in my secondary setup between Devialet 120 and Martin Logan Ethos. Here they also bring more liveliness and transparency to the table but are making the sound slightly too matter of fact, reducing emotional involvement in the process. The cable normally used in this setup is a Symo LS4x, which admittedly sounds less solid and pure than the ASI, but in this context has more organic flow, which I think is required with the Logans. In the end, as always it is all about balance, a cable needs to fit the system that it is used in, as well as match the tase of the user. 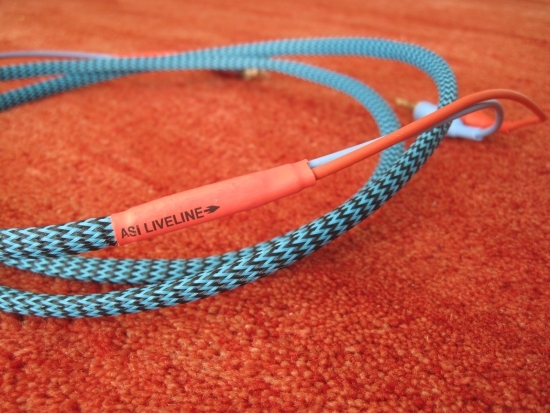 Solid core cables often have better bass and transparency than braided variants, but this usually comes along with a certain clinical quality in the midrange and a dryness in the treble. From my initial results in the two big setups, I must admit to being quite intrigued by these cables’ lifelike character and absence of the typical solid core downsides.